A Nepalese school bus driver is hoping to become a Guinness World Record holder thanks to his unusual ability to lick his own forehead. 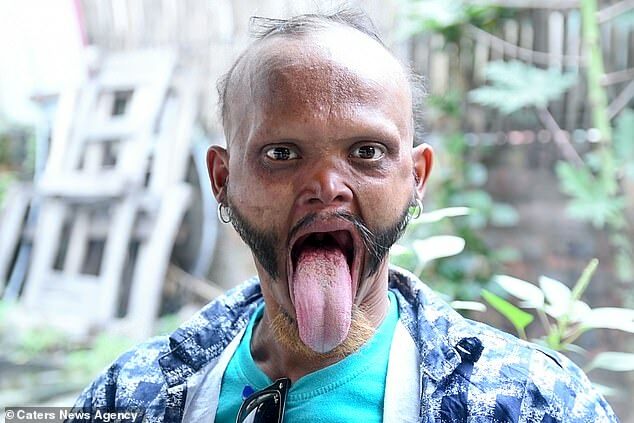 Yagya Bahadur Katuwal, 35, from Urlabari, Nepal, claims he has the longest tongue in the world, and can cover his nose with his bottom lip while he licks his eyebrows. 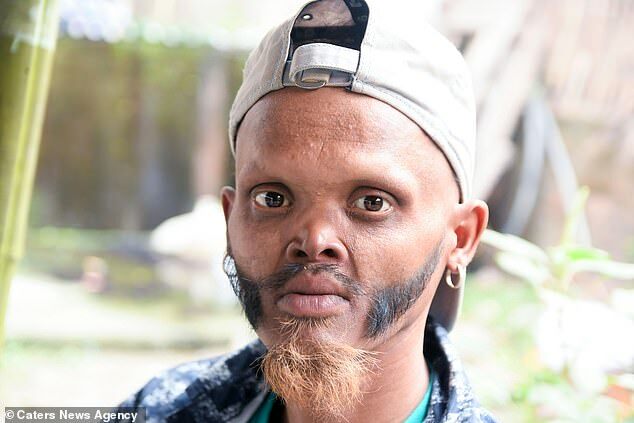 Mr Katuwal has become something of a local celebrity after a friend posted a video of him licking his forehead on social media. However, he has been warned not to show off his unusual skill at work, as the students get scared. ‘Children never want to get close to me. Some even wet their pants. ‘Even adults can lose consciousness when they watch me in action. However, Mr Katuwal does not let other people’s opinion faze him, adding ‘I think I look great like this,’ before once again covering his nose with his mouth. 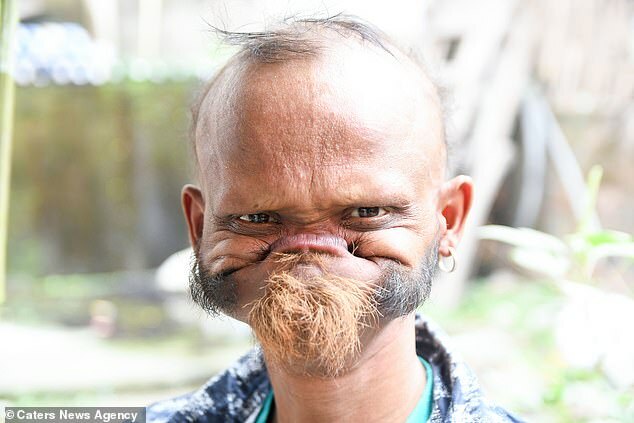 Puskar Nepal, who filmed Mr Katuwa doing his trick, said: ‘He’s physically and mentally fit – he discovered in the early age that he can lick his own forehead.